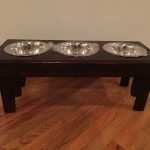 You can prepare really outstanding things and stuff by using wood lying in any comer of your home. You can mix up the ordinary stuff with old things to get some chic combinations that make perfect home decors. 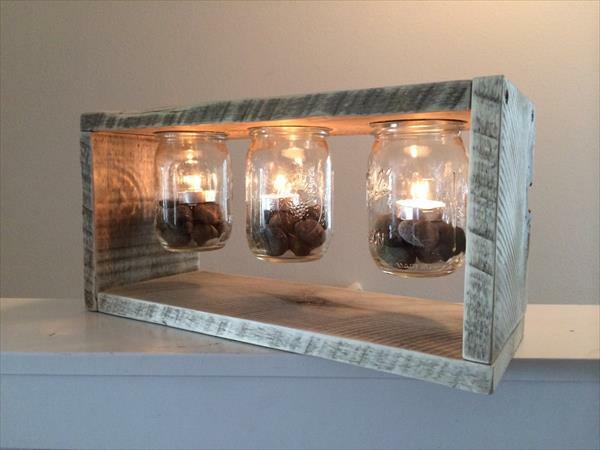 Here we have made a DIY pallet light box by mixing up some aged pallet wood slats and some empty mason jars. 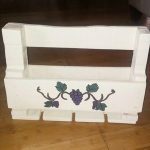 Target DIY pallet furniture came up with such a nice behavior that it can signify any coffee or dining table remarkably. We have added a white chalk to the wood to make it distressed and antique in appearance. 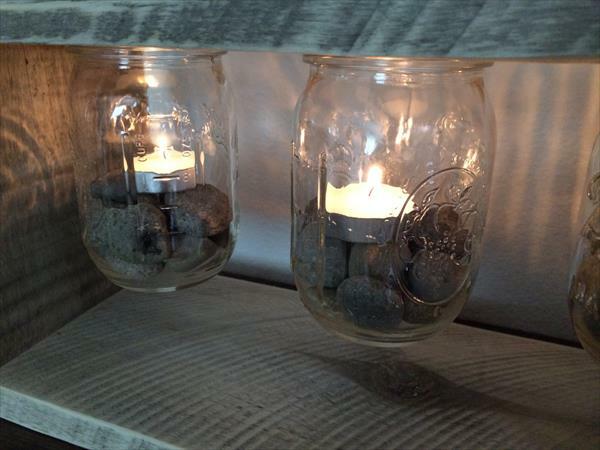 We have fixed the Mason jar lids to the wood and then made the glass jar tight to them by making them fill with some stones and lights. You can use the battery operated votive or real candles. 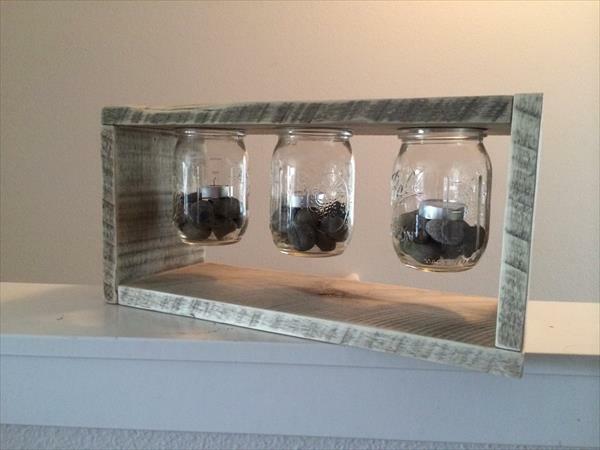 You can also use these mason jars as planters if you a creative twist to them. This is just an amazing pallet wood idea to get perfect dining table embellishments on a budget which is just equal to nothing.